Software under open source licence designed to plan and conduct exercises. Many builtin features and ISO 22398 compliant. 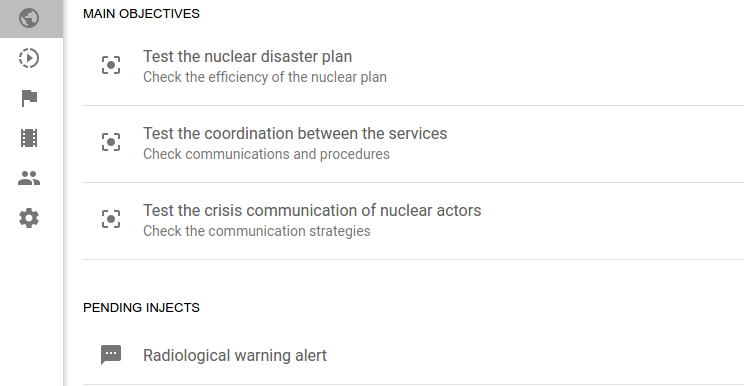 The events of the exercise scenario are automatically sent by the platform at the scheduled time. The scenario can be played in accelerated speed before exercise to check its sequencing and rhythm. Checks on the players' means of communication are automatic and can be launched at any time. Players can be grouped by audience and receive only the events especially created for them. The available communication vectors are modular: SMS, emails, phone calls etc. More should be developed. Real-time indicators and statistics allow exercise control team to constantly adjust the relevance of the scenario. To facilitate integration with other applications, all OpenEx components rely on a standards-compliant REST-Full API. The user interface of OpenEx is simple and reactive, it respects the good practices of material design.  Developed with the ReactJS framework, it results to be truly reactive and very fluid in its functioning. 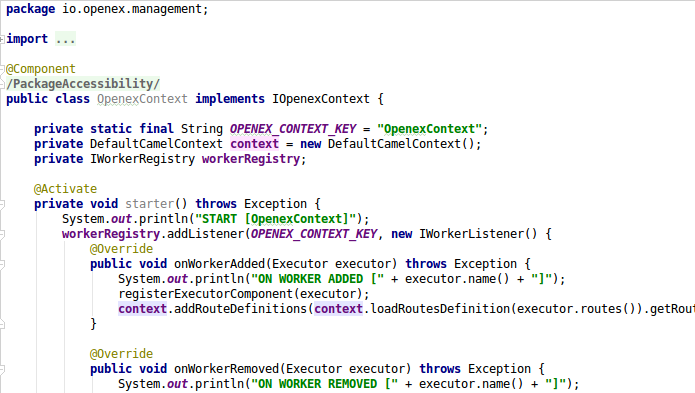 The worker is the OpenEx program used to automatically send events and injects. It has the role of scheduler, executor and planner. It is based on the Apache Karaf framework, thus ensuring a real flexibility in the addition of new communication modules (SMS, emails, social networks etc. ).